Have you already prepared an unexpected gift for your geek girlfriend? Not yet? Let’s go on checking the TV Man and Camera Man necklaces. Perhaps the two necklaces could be suitable. 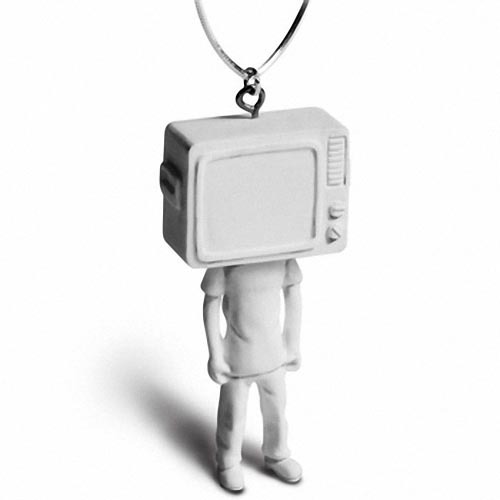 As the name implies, these are two interesting necklaces that feature two resin figures with a TV shaped head and a camera shaped head respectively. The unique collection of hand-finished resin jewelry is designed by Griffin Yang, a designer from Taipei, Taiwan. The TV Man measures 0.78 x 0.55 x 1.77 inches, and the Camera Man is 0.86 x 0.51 x 1.65 inches. 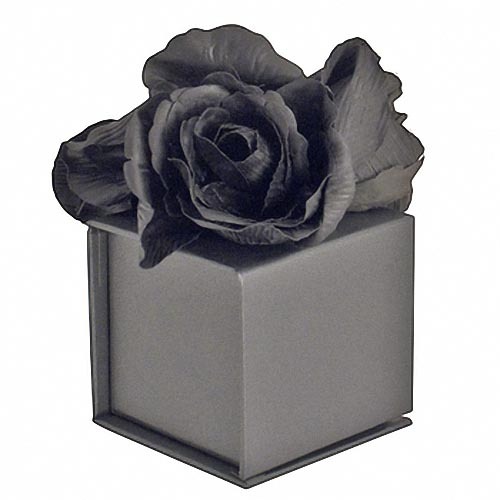 Each necklace is made of silver and resin, and ships with an exquisite black gift box with fabric decoration. 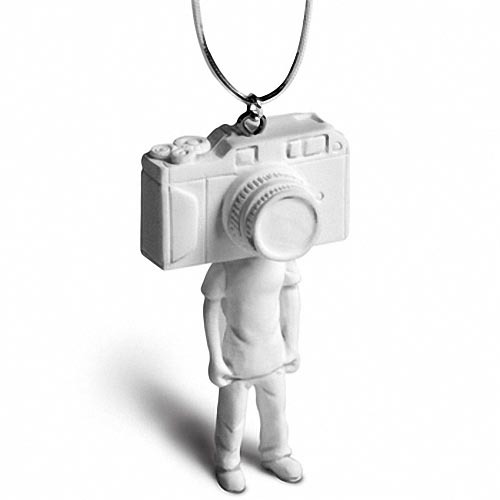 Whether TV Man necklace or Camera Man necklace, the price is $56 USD. If you’re interested, jump to A+R Store for more details. By the way, if you need more cool necklaces, you might like to check the origami necklace and the locket necklace with USB drive.